Dr. Peter Keating is a board certified Audiologist who has practiced in the field of clinical audiology for over 20 years. 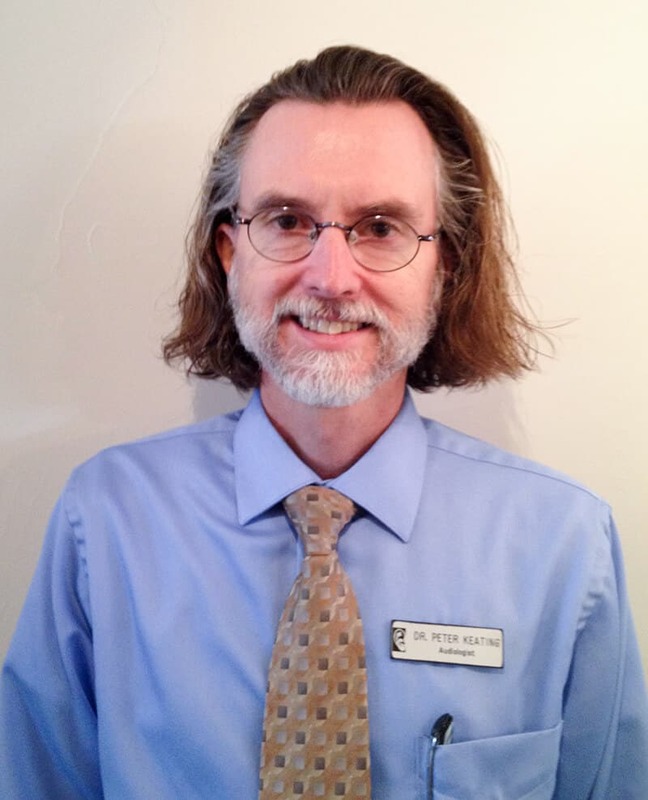 Having received his masters degree from The University of Colorado and his clinical doctorate from The University of Florida, he has specialized in the areas of dizziness and balance disorders, pediatric and adult hearing assessments, and in the fitting of hearing aid amplification for both the adult and pediatric populations. In his free time, he leads a team of musicians for his church’s weekly worship service and provides music instruction to those in his community wanting to learn to play guitar, piano or drums. He is active himself in multiple music performance groups and spends his weekends running on the trails of the great Pacific Northwest in preparation for his summer season of ultra trail running events ranging in distances from 50-100 miles. His true passion is his wife and family, and what he does to help those in his community to connect to family, friends and community through better hearing, and his role of being a facilitator of music, which he believes, makes our sense of hearing all the more worthwhile.